Looking for private in-home or in-studio Trumpet lessons? Our Conroe teachers are ready to get you started. Find your teacher today! Hi, my name is Jonathan Saraga; I’m a professional musician and educator from New York City. I have been working as a trumpeter, composer, arranger, and studio musician for almost 2 decades and have been teaching full-time for the past 7, which includes nearly 3 at the University level. Most of the subjects I teach are music related, in which I have nearly 10 years of Conservatory training, a Bachelor, Master and Doctorate degree, as well as over 17 years experience performing, recording, and competing on an international level. While I have invested over 30,000 hours into musical training, my interests, practices, and skillsets extend beyond sound and visual art, and into the realm of philosophy, science, physics and spirituality. 1st place in the International Trumpet Guild Jazz Trumpet Solo Competition, finalist in the Carmine Caruso International Jazz Trumpet Solo Competition, recipient of the ASCAP Herb Alpert Young Jazz Composer Award, selected-participant at the Banff International Summer Intensive Program in Jazz and Creative Music, selected-participant at the School of Improvisational Music Summer Intensive Program, as well as recipient of 5 Semi-Finalist selections and 1 finalist/honorable-mention selection in the International Songwriting Competition. As an educator, I have taught all-level/all-age group music playing and appreciation courses for several New York-based organizations: The Afro-Latin Jazz Academy, The Gramercy Brass Orchestra of New York, New York Ensemble Classes, the Lyceum Kennedy International School, Jubilee Enrichment Programs, and The New York Jazz Academy. I have also completed 6 semesters of service as a Graduate Part-Time Instructor at the University of Colorado, Boulder, where I taught multiple playing ensembles as well as three semesters of a 100+ student History of Jazz lecture class for non-majors. I have also been practicing various forms of fitness, meditation and Yoga for the past 5 years. My studies span the gamut of psychology, philosophy, calisthenics, Astral Projection, Reiki, Vipassana Meditation, Visualization, and much more. I believe and live by the idea that creativity is an energy that flows through us, and one's creative abilities can be improved and expanded, through the emotional body, which is influenced by one's perceptions. Throughout my training in music, the arts, as well as my physical, mental and spiritual pursuits, I have realized that discipline, creative flow, and love for what one is and what one does can come together and yield great fulfillment and sense of purpose. I look forward to helping you realize your potential! I teach beginner through year 5 trumpet students. Teaching online since 2013. Beginners are fun! For more advanced players, I specialize in teaching improvisation and soloing. Some trumpet students of mine also get into arranging and composing for orch, big band, or other brass ensembles. My 6 years old son wanted to take piano lessons and it was always my dream to learn to play on piano as well. I am happy we found Austin. He has skills and patience to work with kids, which is impressive. Austin motivates and encourages them, so they enjoy playing. I am enjoying learning piano as well and my dream is coming true!!! The average cost of 60-minute trumpet lessons in Conroe is $86. While the exact cost will vary depending on the teacher, type of lesson, and your location, you should expect to spend anywhere between $84 and $89 per hour. For the best experience, we typically recommend 60-minute trumpet lessons. However, students looking for a more affordable option may want to consider a shorter lesson length of 45 or 30 minutes. On average, 45-minute trumpet lessons are 26% less expensive at $64, and 30-minute lessons cost 49% less at $44. 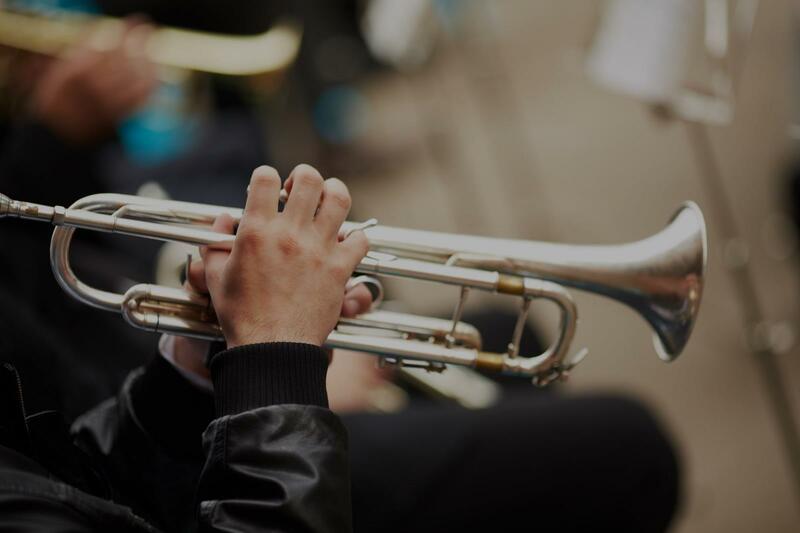 Curious how much trumpet lessons cost in your area? Do a quick search to get local prices for the best trumpet teachers near Conroe.